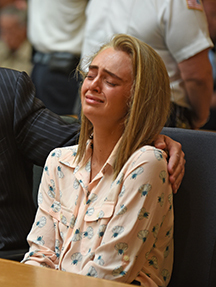 The Massachusetts Supreme Judicial Court (SJC) has upheld the convic­tion of Michelle Carter, the Plainville woman who was convicted of involuntary manslaughter in the suicide death of Conrad Roy III. The decision was released on 2/6/19. Mr. Roy was found dead of carbon monoxide poisoning in his pickup truck in the Kmart parking lot in Fairhaven on 7/13/14. A spent gas-powered water pump was inside the vehicle with him. The case was heard in Taunton Juvenile Court because Ms. Carter was one month shy of her eighteenth birthday at the time of Mr. Roy’s death. She was tried as a juvenile offender, which means she was tried as an adult, so the proceedings were open to the public. On August 3, 2017, Ms. Carter was sentenced to 2.5 years in the Bristol County House of Correction, with 15 months to be served and the balance suspended with probation for five years (ending 8/1/22). The sentence was stayed pending state appeals. Now that her state appeals are exhausted, she will have to serve the 15 months in the HOC. She does have one last possi­bility to delay, however. She can request, within 28 days, a review by the court. However, it is unlikely that the court would reverse itself, especially since it is the second time the SJC has heard arguments in the case. The first time was in 2016 (Carter I) when the court found there was probable cause for the case to continue. 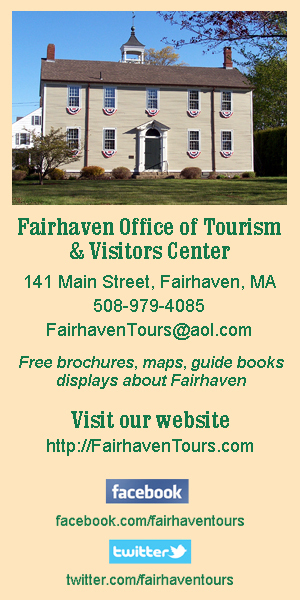 In oral arguments heard on 10/4/18 (see 12/6/18 issue of the Neighb News: https://www.fairhavenneighborhood news.com/sjc-has-carter-appeal-under-advisement/), attorneys argued that Ms. Carter was not present when Mr. Roy killed himself and that her texts, emails, and phone calls were pro­tected speech. The prosecution, as they did at trial and ruled by the judge, stated that Ms. Carter’s actions were “wanton and reckless” and purposely caused the death of Mr. Roy. The court found that the relation­ship between the two was mostly by texts, emails and phone calls. The decision includes samples of their text messages, in which Ms. Carter collaborates with Mr. Roy on how he can kill himself. “As the victim continued researching suicide methods and sharing his findings with the defendant, the defendant helped plan how, where, and when he would do so, and downplayed his fears about how his suicide would affect his family. She also repeatedly chastised him for his indecision and delay, texting, for example, that he ‘better not be bull shiting me and saying you’re gonna do this and then purposely get caught’ and made him ‘promise’ to kill himself,” wrote the court. The court also went into great detail about a lynchpin of the lower court’s decision, that in an email by Ms. Carter herself to a friend she says that Mr. Roy got ouf of the truck and she told him to get back in. “Although we recognize that legal causation in the context of suicide is an incredibly complex inquiry, we conclude that there was sufficient evidence to support a finding of proof of such causation beyond a reason­able doubt in the instant case,” reads the decision. “The judge could have properly found, based on this evidence, that the vulnerable, con­fused, mentally ill, eighteen year old victim had managed to save himself once again in the midst of his latest suicide attempt, removing himself from the truck as it filled with carbon monoxide. But then in this weakened state he was badgered back into the gas-infused truck by the defendant, his girlfriend and closest, if not only, confidant in this suicidal planning, the person who had been constantly pressuring him to complete their often discussed plan, fulfill his promise to her, and finally commit suicide. And then after she convinced him to get back into the carbon monoxide filled truck, she did absolutely nothing to help him: she did not call for help or tell him to get out of the truck as she listened to him choke and die. “‘A statute is unconstitu­tionally vague if [people] of common intelligence must necessarily guess at its meaning,’” wrote the court citing Carter I. The ruling then cites several cases where coercion and taunting caused a suicide. The court also addressed the free speech claims made by Ms. Carter. “The only verbal conduct punished as involuntary manslaughter has been the wanton or reckless pressuring of a vulnerable person to commit suicide, overpowering that person’s will to live and resulting in that person’s death. We are therefore not punishing words alone, as the defendant claims, but reckless or wanton words causing death. The speech at issue is thus integral to a course of criminal conduct and thus does not raise any constitutional problem,” wrote the court, and then addressed concerns that bedside, end-of-life suicide discussions could be criminalized, specifically noting that this case does not involve those situations, or general discussions about euthanasia or suicide. Ms. Carter’s attorneys also argued that she did not “inflict serious bodily harm” on Mr. Roy, and the definition of “infliction” was argued at length in the oral arguments. The defendant argued that she herself had to be present and directly inflict the harm. “Her ongoing contact with the victim in the days leading to his suicide, texting with him about suicide methods and his plans and demanding that he carry out his plan rather than continue to delay, as well as the lengthy cell phone conversa­tions on the night itself, showed that her actions were not spon­taneous or impulsive,” wrote the court. The defense also con­tended that the lower court erred when it refused to allow testimony by an expert witness, a psychologist who was going to testify about the development of the juvenile brain. The SJC decided that the judge was within his rights to bar that testimony and it showed no prejudice to the defendant. According to the Bristol County District Attorney’s Office, the next step is for the DA to file a motion for the stay of sentence to be revoked and the jail sentence to be imposed. The DA’s office will file that “within the coming days,” said DA spokes­person Gregg Miliote. The statement noted that the court also addressed the contention that the conviction punished words alone.